Tea Time Can Be A Real Hoot! Set. They will also keep you company while you relax and sip away. For night owls out there it can also be great for that late cup of cocoa to help you get to sleep. 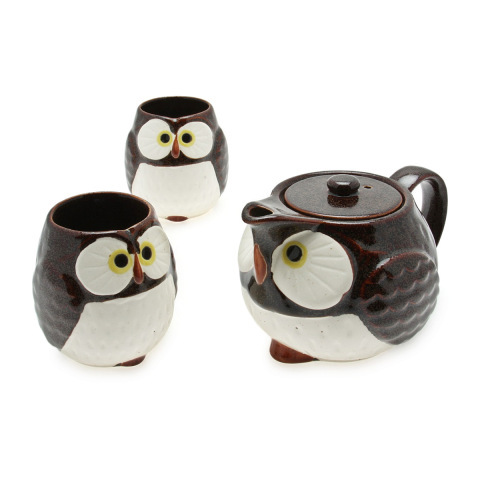 The set comes with two stoneware owl mugs, a stoneware owl tea pot, and a stainless steel strainer. Not microwave safe and hand wash only. Made in Japan. For more information or to order, click here. Rainy Day? How About A Game Of Cat-Opoly?